After work yesterday, I hit the gym for some cardio. 40 minutes of steady state on the elliptical (all the Stairmasters were full again, boooo! ), plus 5 min cool-down. Back at home I heated up dinner - chili and bread for the family, Swai (white fish) and steamed zucchini for me. I'm really liking Swai! A few hours later I was able to enjoy my bowl of chocolate peanut-butter protein ice cream. Absolutely loving that!! My little ice-cream maker is perfect for it! 20 minutes and it's ready! Woohoo! 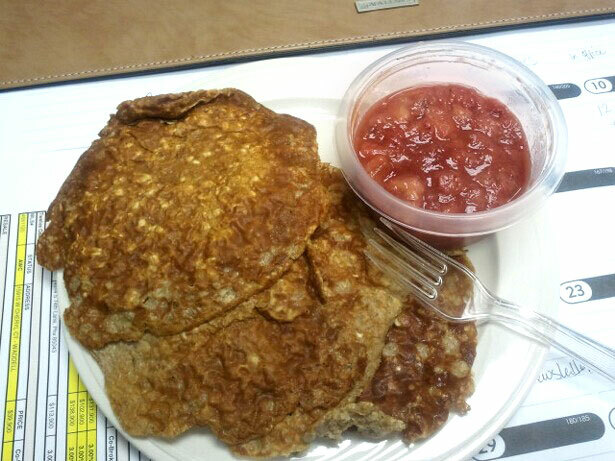 Back home, I whipped up a batch of oatmeal pancakes and syrup to take to work with me for breakfast. Super yummage! I did strawberry-banana syrup and it was awesome! I guess calling that syrup isn't really accurate because it was pretty chunky, but oh, so so so good! Breakfast - Pancakes: Oatmeal w/protein powder, ground flax, cinnamon mixed with unsweetened almond milk, with my Berry Syrup (strawberry-banana). Snack: 4 oz swai (white fish), apple. Lunch - 4 oz ground beef in an orange pepper, steamed with 1/2 cup quinoa pudding/porridge. Snack - 3 oz grilled chicken breast & 2 cups steamed broccoli/cauliflower. Today's Numbers (click on the pictures above to view all the info): 1482 calories; 40% protein, 34% carb, 27% fat. 34.7 g fiber. That green bracelet says "BELIEVE" on one side, and "IAAC" on the other. This is the same bracelet that she wore throughout her Figure competition training. I was overwhelmed. And honored. Damnit, now I'm crying again. You are AMAZING! 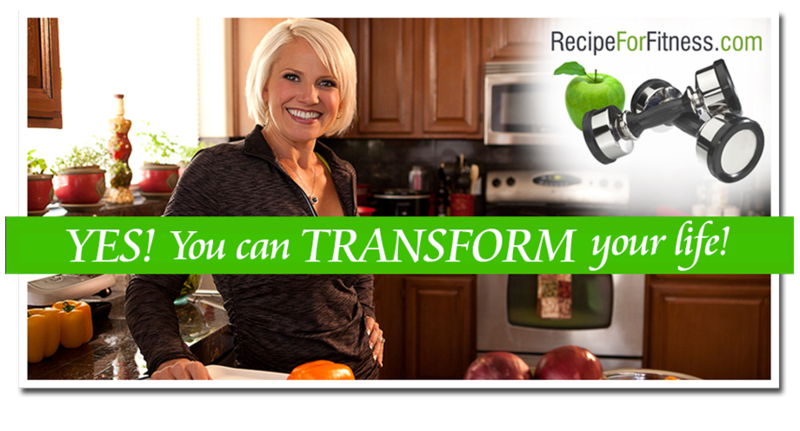 I so idolize you making all those wonderful meals, training for and reaching your goals, and sharing it with all of us. Keep up the awesome work and an inspiration! What a lovely gift :)Its wonderful that you have such thoughtful people around you! Thank you so much for sharing and providing great details. You are an inspiration! My sister-in-law ROCKS! Love you girl...way to go!